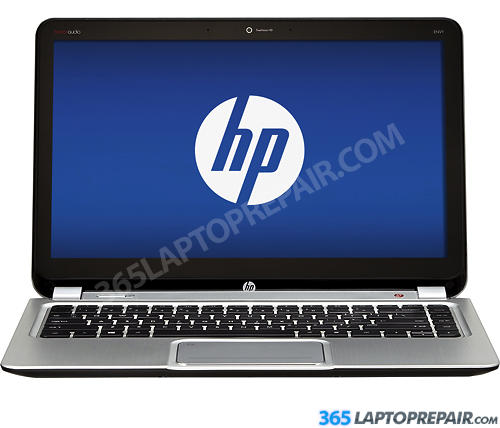 Purchase just the HP 4-1115DX replacement screen part for $329. The Hp 4-1115dx screen replacement service that we provide includes the cost of a brand new Digitizer (touch screen) and LCD screen assembly and the labor to install it. Contact us for a Custom Quote for touch screen repairs. This service also comes with a No Dead Pixel Guarantee and a 6-month warranty on parts and service. We use genuine new HP LCDs, not aftermarket or cloned products. To replace the Digitizer (Touch screen) and LCD we need to replace the entire LCD screen assembly (The entire screen, digitizer, LCD, LCD back cover, hinges). Contact us about any questions you have about the HP 4-1115DX digitizer replacement. 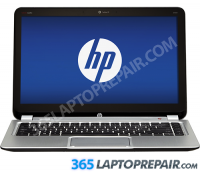 If you would like to do this repair yourself, please review our LCD only screen replacement video for more information and Do It Yourself tips and tricks here: Hp 4-1115DX Screen Replacement Video. This video is for replacing the LCD only, we don't yet have a video for LCD and digitizer replacement. The Hp Envy Touchsmart 4-1115DX comes standard with 4GB of memory. It has 2 memory slots, with one already in use by the stock 4GB. You can upgrade to 8 GB, 12 GB or 16 GB.